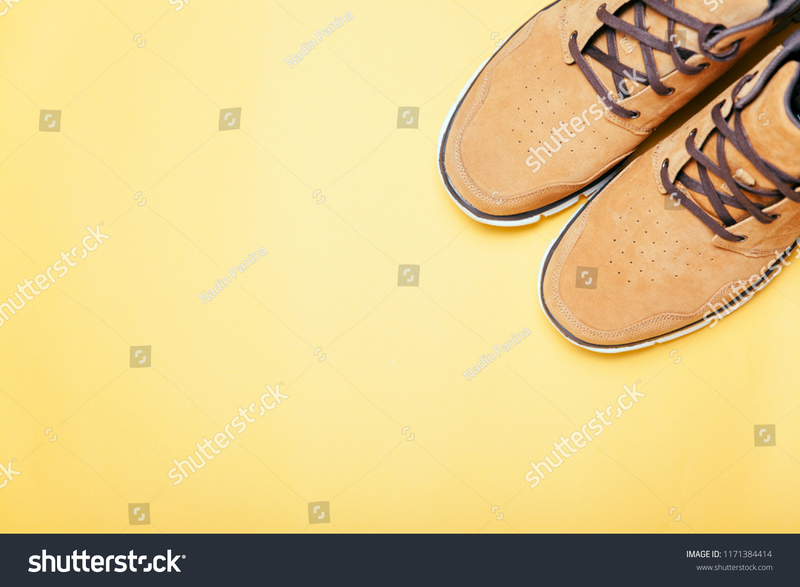 Top view of Brown boots on yellow background. Copyspace, flat lay. Traveling boots, minimalist.